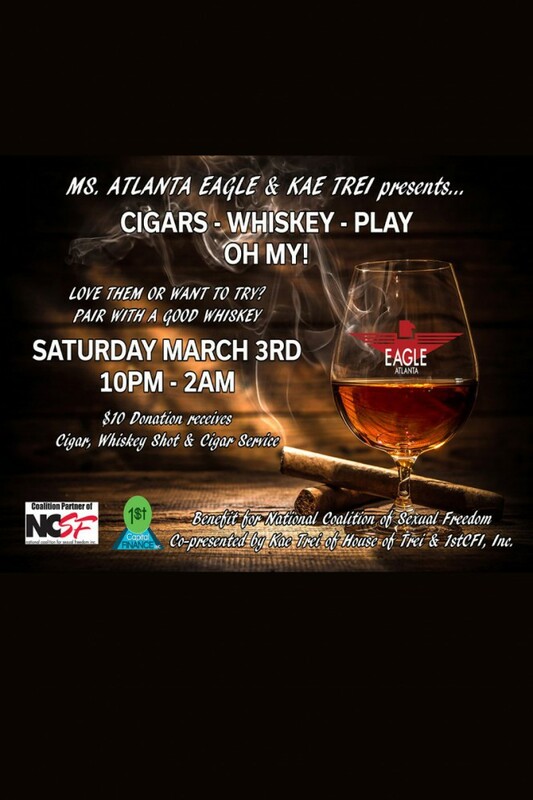 Ms. Atlanta Eagle & Kae Trei of the House of Trei presents a night of Cigars, Whiskey & Play. Benefitting the National Coalition of Sexual Freedom. Sponsored by 1st Capital Finance, Inc.